Hout Bay, referred to by many as, The Heart of the Cape is located a mere 20 km from the City Centre and nestles almost perfectly between Cape Town and Cape Point. This seaside suburb was originally named Hout Baai or Wood Bay by Dutch explorers who used harvested wood from the forests in the area to build the Fort at Cape Town as well as the port which became Cape Town City. Having initially been insulated from the hustle and bustle of big city life, this charming seaside village has grown considerably and has transformed itself from a quiet hamlet into a hive of activity for locals and international tourists. Hout Bay really does have something for everyone. Barry Todd, Principal of Greeff Christie's International Real Estate Hout Bay and Llandudno, shares his thoughts on the area, "The Republic of Hout Bay is how the area is fondly known to the locals, as it is a melting pot of culture, food, music and individually diverse communities. This hidden gem has a sheltered bay and harbour, is encircled by magnificent mountains and hemmed in by an unforgettable verdant valley. Hout Bay, due to its history and unique geography feels different to other Cape Town suburbs and truly has a character of its own. Hout Bay is perfect for young and old, families starting or empty nesters, people that love the ocean or people that love the mountains. This is a wonderful place to put down roots as the community is tight-knit and welcoming." Hout Bay serves up a smorgasbord of activities to anyone that is willing to explore what it has to offer. Being located so close to Constantia Nek, Hout Bay's restaurants naturally benefit from access to some of the best wine that the region has to offer. Types of eateries range from the most basic and scrumptious, fish and chips shops to the most sophisticated fine dining available. Hout Bay is also famous for its proximity to Seal Island where tourists can watch these playful mammals frolicking in the surf and if they are lucky will get a glimpse of the most efficient hunter to grace the sea, The Great White Shark. World of Birds offers visitors the unique opportunity to view over 3 000 birds of more than 400 species. If the ocean and Hout Bay's feathered friends don't appeal to you on the day and shopping is more your cup of tea, then the Bay Harbour Market is the perfect spot for you. This Hout Bay hotspot features live entertainment, foods aplenty, play areas and a variety of arts, crafts and curios to buy as a souvenir of your visit. Adventure seekers and outdoor enthusiasts can engage in pastimes that take in the best that the beaches and mountains have to offer. Stand Up Paddle Boarding, yacht charters, trail running, horse riding and hiking through the mountains (including the world-famous Chapman's Peak) are just some of the ways to spend your days. Not only does Hout Bay offer excellent entertainment but also a host of amenities for visitors and residents alike. Parents with school-going children will be glad to know that there are a variety of schools in the area that range from the Hout Bay Montessori schools to the International School of Hout Bay. Younger children are equally well catered for with a large selection of day care and creche facilities. Property in Hout Bay is equally diverse with property ranging from smallholdings to family houses and secluded forest homes. The area also caters for buyers who want a more community-based home with apartments, gated, luxury estates like Applegarth Estate which is nearing completion and retirement villages all located in prime areas. Hout Bay is perfectly located - far enough away from the CBD to be peaceful, but close enough to be convenient, especially to the city which is an easy and beautiful 30-minute drive along the Coastal road which has significantly less traffic than other areas in Cape Town. A quick drive via Constantia Nek will take you to the Southern Suburbs and Airport, while the coastal routes will get you to Llandudno, Camps Bay and the Atlantic Seaboard. With a median price of approximately R4 million for a freehold property, the peace of mind of Hout Bay is more affordable than you think. While crime in the Western Cape is a concern, it is comforting to note that Hout Bay has seen significantly lower burglary statistics than five years ago with only 4% of homes being affected and these figures also reflect a downward trend; completely contrary to the perception of the area being seen as unsafe. Over the past two to three years Hout Bay has been on the receiving end of some negative publicity, with the fire and civil unrest that followed it creating the perception that Hout Bay was a dangerous place to live in. The fire had the effect of putting Hout Bay in the spotlight of the country, uniting the country in support of a community that was in dire need and uniting the community of Hout bay itself. Since the fire, conditions in Imizamo Yethu have improved considerably with proper roads and civil works being undertaken to improve the infrastructure of the area. 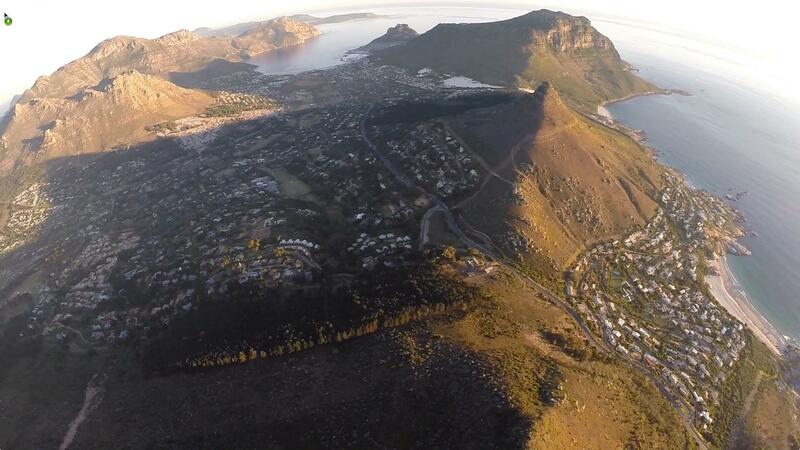 Hout Bay as an area is an excellent example of how a community can exist in a symbiotic state. Hout Bay is the perfect mix of modern infrastructure and amenities juxtaposed with traditional community values and old-world charm. If you are interested in Hout Bay for your next move, speak to one of our Greeff Hout Bay area specialists today. With plenty of great opportunities to be had in Hout Bay, the area offers the most affordable, value for money suburb on the Atlantic Seaboard.